If you can, take a look at the syllabus and course map. I'll have printed copies of the syllabus in class, so no need to print it out for yourself. One previous personal / extra-curricular experience with geospatial tools, and one professional / academic experience with geospatial tools, if any. Course meeting days...does anyone want to change the time? Experiential centerpiece: Where Should We Build the New SuperMart? Technology standards - might want to cite ISTE's NETS-S.
A keystone text: Learning to Think Spatially. The mothership of the technology: ESRI. Marsha Alibrandi (now at Fairfield, not NCSU). Download and try out Google Earth, if you haven't already. First try to browse it, then try to mark it up (e.g., add a placemark). Once you've added markup, try to save the file. Geospatial technology, pedagogy, and content questionnaire. ...and the three pieces of paper I gave you (about GPS units, Google Earth, and GIS). If you lost the papers, you can print them out here. Do the reading (above), do WTL. If you don't know what else to write about, write about your brainstorming for assignment/project topics. If you haven't already, please update your Profile in CourseSite to include a photo. What else can a GPS do? How did we orient ourselves outside? What cues did we use? Did we think in terms of N/S/E/W or Eq/PM? Did anyone make an 'airplane'? Investigating the display & markup tool (Google Earth): What does that file look like? How did I make it? How can you make one yourself? kml file of scaffolded geocache locations for Iacocca Hall; kml file of second of latitude and longitude locations. Extending the activity: Geospatial awareness/skills --> inquiry --> community investigation. Trees, cars, and carbon activity at William Penn Elementary -- view relevant links here. And an FYI: What we did was not geocaching, it was a scaffolded geocache. See geocaching.com for the real thing. Read and respond to a classmate's assignment ideas in their WTL thread. How is everyone for software? Opening discussion of assignments: What do you have in mind for your Google Earth assignment? Mix of client-side and server-side data. Layers -- my recommendation is to turn OFF as much as possible. But I do like leaving 3-D buildings on...sometimes turns up fun surprises (for example, Amsterdam!). File > Open to load a .kml or a .kmz. For our demo, we'll use this file that I created for TLT 406. It's interesting b/c it has points, lines, associated images, etc. Double-click on any point on the globe to go there. Single-click to open up info box. Actually, not much we can do here beyond typing in search terms. Click on Add Placemark, Add Polygon, or Add Path. Editing something once it's been created: Open up Properties (or Info) and modify. For our purposes: Right-click the item, folder, or file name and "Save Place As"
AEJEE - Note that this runs on Java, so it requires a Java Runtime Environment...and some patience. All client-side data. We'll start by loading a blend of demo, downloaded, and self-generated data. Loading demo data: File > open > us_hd.axl. (In case you need to browse to this: The file path is ESRI\AEJEE\Data.) What you're looking at: spreadsheets rendered visually. But we'll get to this in "Inspect"
Identify tool ('i') -- can be hard to use unless you're properly zoomed in. Repeat this for 'San' -- select all the results and look at them on the map. What was expected? What was a surprise? Table of results and displays on map. Creating new layers: MUST edit outside of AEJEE, bring it in. Adding lines or polygons is much trickier. Take a look at the demo files of 10grid_hd.axl and 10gridpn_hd.axl to get a sense of this. Saves out as ArcXML (axl) files; viewable in Arc products. HOWEVER: Note that each project file is pretty tiny (just a couple kilobytes) -- they're referencing the REAL data sources, down in the data folders. So if you're trying to move data around, move both the project file and the data sources. Download them all to the same folder / location, make sure you know how to find them. Hit the "Add data..." button (between 'Print' and 'Remove layer') and browse to where you stored the data; you should see the .shp files there. Select them and they will become new layers. And here is our scaffolded geocache data as tab-delimited text. Save this file to your machine, then do View > Add Event Theme. Browse to where the .txt file is, select it. BE SURE to specify 'lon' as the X Field, and 'lat' as the Y field. Given that this is pretty boring (b/c we can't see Iacocca Hall -- we don't have the satellite image here, and we don't have a polygon for Iacocca), you can also look at some (very dirty) sewer data for the Southside: sewers.txt (htp://coexs.dept.lehigh.edu:16080/~tch207/broughal_geospatial/data/sewers.txt), same process as before. Set the Library to "United States"
Pull the following to the "Layer List" column: U.S. States, Counties, Rivers, Major Highways -- whatever you like. To get our geocache data: Do File > Import Layer From File. Browse to wherever you stored the file, and note that this program is a little smarter -- given lat and lon, it recognizes them automatically. "Analyze" is where you run your queries. "Edit" lets you change your data set or add new layers from your own data. Inspect: You still have an Inspect tool, but you can do a lot more browsing using the records fields to the right. This is actually pretty different: The Analyze tab is where you do this, and it's all split out by function. Note that this tool lets you do a lot of math (calculations, graphs) as well as maps. For example: Figure out a series of steps to see if the %age of older persons really is higher in Florida, Arizona, etc. Another bit of added value: You can save your queries / analyses as new layers. For students, this is VERY handy. Obviously, the Edit tab is the place to be. Double-click on a layer and you can see the spreadsheet, add new records (entries) or new fields (characteristics to existing records). 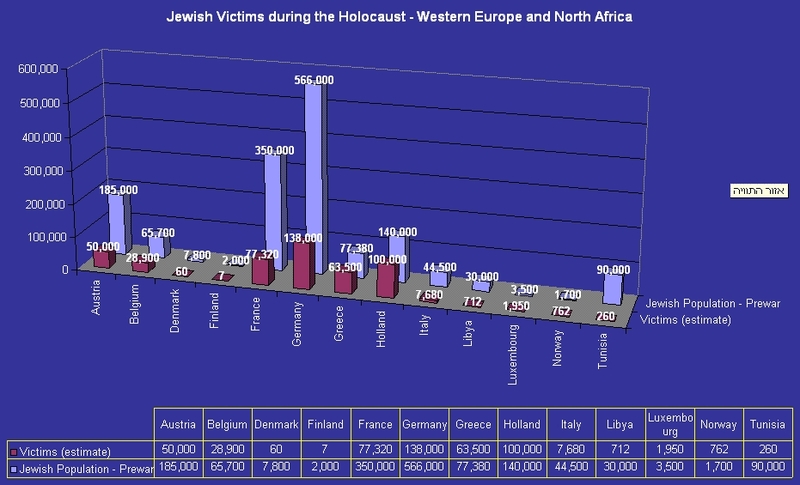 Time permitting: Example of adding new data to an existing data file: I've done a little work moving some Holocaust data into GIS. 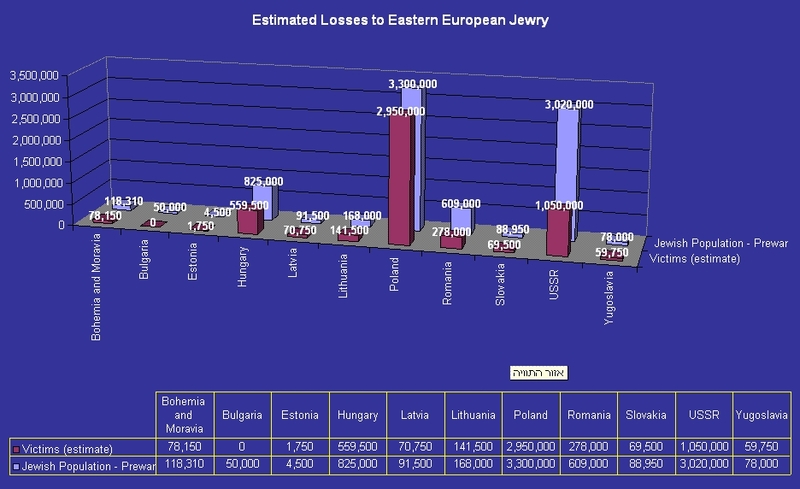 Sources are these two graphs from Yad Vashem: 1, 2. The important thing here is to do "Save Project As..." to preserve (a) the integrity of the original data, and (b) whatever changes / analyses you've made. Meetings to discuss assignments, project: We will do these next Tuesday; sign up for a time slot , please. I want more data! Finding data online . Raw data example: census.gov's MAF/TIGER database; processed data example: UIC's Bringing Historical Data Alive . Example #1 (I'll demo): Pre-Civil War census data selections in AEJEE. If you want to play along, files = states.shp / .shx / .dbf / .prj / .sbn / .sbx / shp.xml ; census_1790-1860.shp / .shx / .dbf. If you'd rather just play along in My World, here's the handy, single project file. Example #2 (you'll work on this solo or in pairs): The Great Migration via My World. You'll need the project file (uic.edu/educ/bctpi/historyGIS/greatmigration/GreatMigrationV42.m3vz ); note that there has been some weirdness in the past about how to get this. You may have to download it, open My World, then from inside My World do a File > Open. Essential affordance: Screenshots! --Please include one in your WTL posting. For tips on how to do them, see the 'Help Me!' Forum. Assignment discussion -- how is it coming? Sign up for Wednesday's meetings!! Looking ahead to Friday's session: What do you have to do between Wednesday and Friday? Sign up for meeting time! Google Earth final assign turn-in...questions? Issues? BTW, I screwed up on the reading...there are TWO Doering & Veletsianos, 2007 articles I want you to read, believe it or not. Let's first take a look at some tree identification tools. Identify its tree categorization (e.g., a hard hardwood or a soft hardwood). Calculate the dry weight--you'll need the moisture ratio, and it's at the bottom of the page. What kind of scaffolding was in place? How can it be improved? What are the instructional follow-ups? Example of inquiry and scaffolding: Environmental Literacy & Inquiry project. I've selected one curriculum (Energy) and just one lesson (Oil) out of a total 40-lesson sequence. Pair up as partners. One partner will do this in My World, the other half will do it in a new web interface. You'll be getting paper copies of the handouts; if you want digital copies, see the lesson page. De-brief: How was that inquiry? How was it scaffolded? How did the two interfaces compare? First, a counter-example: this is NOT what we're aiming for: US Holocaust Memorial & Museum - Holocaust History - Animated Maps. Google Maps, individuals' maps, & mash-ups. As an example of a pretty hot new mash-up: Mapnificent. Flickr world map, individual groups' maps (glaciers, just to pick one at random). VisualEyes. Sample project: Thomas Jefferson's travel and correspondence, spring of 1786. And of course, your desktop tools also talk to the web: dynamic, internet-based data sets can be viewed in Google Earth and My World. Don't forget we're meeting on main campus! To discuss correlation vs. causation, in addition to Snow's cholera map, I'm lifting a map from this article about maps and advocacy in The Economist. Washington-area Metro map from WMATA. Taxi maps from DC from designorati. Closing discussion of false-color mapping, using this map from ESRI. NYTimes' visuals to summarize World Cup games. Example: England-US, 12 June 2010 . Example of a group's pooled images placed on a map: Islam group's map. Playing around with unconvention uses of data: "Seven Deadly Sins" visualizations from KSU (can also get the dataset and documentation from same site). Jamestown in context of Native American settlements. Tampa, FL - Hillsborough County Sheriff's Office interactive map of crime. ]: Wow. Just wow. Way to (a) strike at our paranoia while (b) making a profit. ...and as an example of how tough this issue is to explain, see the Discussion section of the relevant Wikipedia page: Does it really exist? What does it look like? Why doesn't it show up in satellite imagery? How could written descriptions of naked-eye observation be true? A variety of cartograms from WorldMapper; see their entire index of cartograms here. US Holocaust Memorial Museum: Materials on Darfur , Congo . Gulf oil spill: data from Google , advocacy from Defenders of Wildlife . Not explicitly advocacy, but still very political, something to watch for the uses of in the media: Afghanistan mineral survey --the pdf I'll be showing is here . And if you're in love with this topic: Explore ESRI's Storytelling with Maps contestant list. That's where I pulled the Tampa, FL crime stuff; it also features Dr. B's WebGIS versions of his energy curriculum materials. Reading - none -- just finish up the "How to Lie with Maps" excerpts. Don't forget to return them to me when you're done!! TPCK: Why not go to TPACK.org? You've already seen the Energy Unit, but there it is again. The bit I'm especially impressed with is the Isle of Navitas simulation. VisualEyes -- you've seen the front end (i.e., where consumers / users work); look now at the back end (where creators work). Session 11 - Monday, 27 June -REMINDER: Class starts at 5:30 pm!